Something white caught my eye as I was watering the other evening. As if by magic, an Iris scape stood there tall and proud, its white buds glowing in the fading light. The second bloom of our re-blooming Iris catch me by surprise each autumn. It is hard to predict when they will appear. Our favorite I. ‘Rosalie Figge’ sent up a scape with four buds last week. Iris ‘Rosalie Figgee’ blooming last week. It is past time for me to clear up the spent Iris foliage to prepare for fall blooms. It re-blooms reliably through the fall, sometimes blooming into December. But I. ‘Immortality’ is a little more rare, and we always accept her fall blooms with deep appreciation. Just as many perennials wind down for the season, Iris will often begin to grow fresh leaves. Their spring-time leaves are often yellowed or burned at the tip. This is a good time to clean up the old spent foliage, if you haven’t already, and cut back their weathered leaves. The Iris grow well with culinary sage. Seed heads from our garlic chives add texture. I like them very much, though I know I’d be wise to follow Eliza’s advice and deadhead more of these before the garden is overrun with chives next summer, grown from these lovely seeds. A little water, and maybe a top-dressing of compost or a sprinkle of Espoma will revive their vitality. If your Iris are a re-blooming type, this may increase your fall blossoms. If not, you have prepared your plants for a beautiful show next spring. This is also on my ‘to-do’ list, and so these beautiful blossoms have emerged today from less than beautiful foliage. With cooler weather in our forecast, I will hope to accomplish this, too, before I take off for the West Coast in mid-October. Pineapple Sage, in its fall glory, still sends out new buds. Our garden is filled with light today, and alive with many pollinators feasting on the goldenrod. They focus with such concentration as they work flower to flower, gathering nectar and pollen to feed their colonies through the long winter ahead. There are plenty of flowers left for our enjoyment, as well as for those nectar loving creatures who visit us. I will head back out there shortly to make up for our lack of rain this week, with another good soaking from the hose. It takes a lot of water to satisfy our thirsty garden, and watering allows me to see things I might otherwise miss. It also keeps the flowers coming, and with any luck, we’ll have more Iris emerging soon. I’m learning to make wire sculpture trees, and this is my second attempt: ‘Oak in autumn.’ I’ll learn so much about the structure of trees through sculpting them in wire. Like living sunshine, waves of golden flowers splash across the meadows at the Yorktown battlefields. We found a quintessential meadow planting, windsown, as we drove through this patchwork of fields and fences, earthworks and reminders of the battles where the British finally surrendered to the Americans in October of 1781. 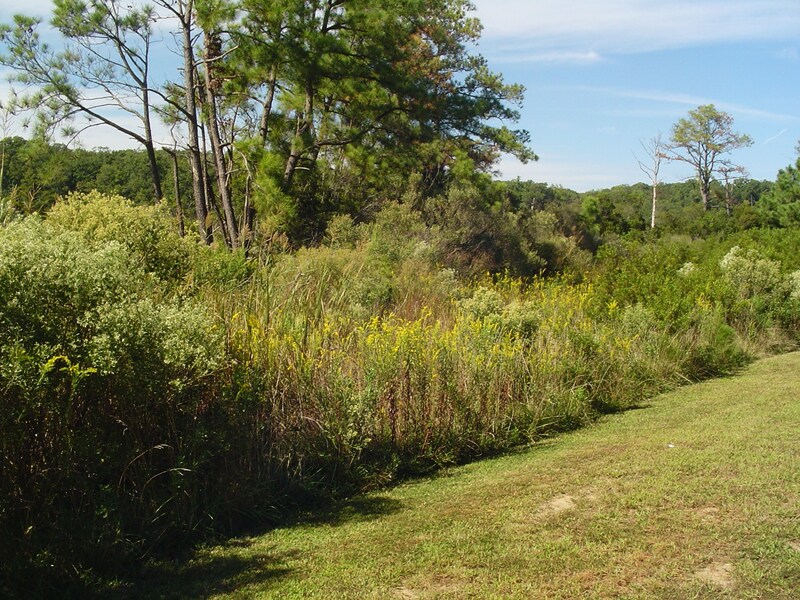 Tall native grasses grow in an Oudolph style matrix, punctuated by native Solidago catching and reflecting the late summer sunlight. Peaceful now, these fields stand empty as a silent memorial to the passions which bought liberty for our United States. The Yorktown battlefields lie at the Eastern end of the Colonial Parkway. Beyond the fields one finds the little village of Yorktown on the Southern bank of the York River. We visit from time to time, enjoying the waterfront which hosts concerts, craft fairs, sailing ships and a pleasing variety of restaurants and shops. Families relax along its sandy beach. Here, time blurs. Present day life blends seamlessly with artifacts and memories of the past. We enjoy the peace which permeates this place now. And we enjoy seeing the seasons painting their colors across the fields and trees; the gardens in the village; the river and sky. Goldenrod is one of the highlights of late summer and autumn here. 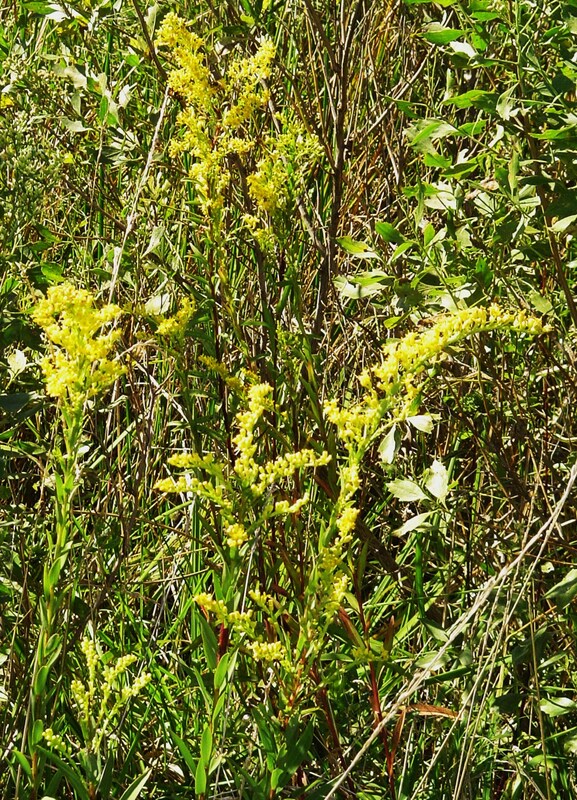 This is the wild, native Goldenrod. While gardeners can purchase several more refined hybrids for their gardens, this is the same Goldenrod the early colonists and Native Americans would have known. It grows freely, still, along roadsides throughout our area. Like so many ‘native perennials,’ Solidago may be seen as a wildflower by some, a weed by others. It seeds take root in unexpected places. In fact, native Solidago grows in one of our shrub borders. Once I realized what it was, I began leaving it to grow undisturbed each year. It grows very tall in this shaded area. While a bit weedy, it feeds many pollinators now at the end of the season, and its beautiful clear golden flowers brighten even the dullest autumn day. In large masses, Goldenrod creates a lovely late summer golden haze; living, growing sunshine which brightens the last few weeks of the season. Goldenrod is one of the last perennial wildflowers to paint the landscape each autumn. Goldenrod growing near College Creek along the Colonial Parkway near Jamestown, Va.
Beginning its show in early August, Goldenrod keeps blooming up until frost. Native on several continents, including North America, Goldenrod, Solidago species, were popular in English and other European gardens long before they became used as ornamental plants in American gardens in the 1980s. 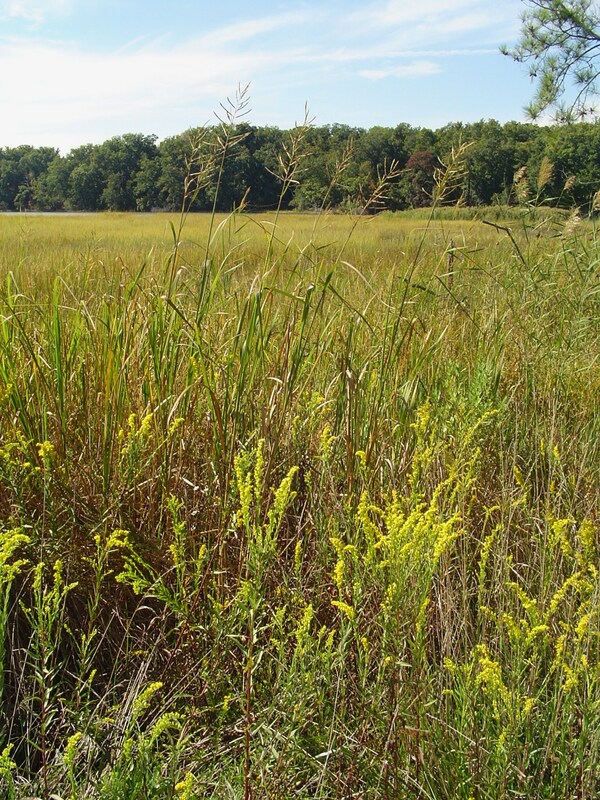 Goldenrod growing on Jamestown Island in mid-August. Here in Virginia, Goldenrod were considered pretty weeds, found mostly in fields and along the roadside. 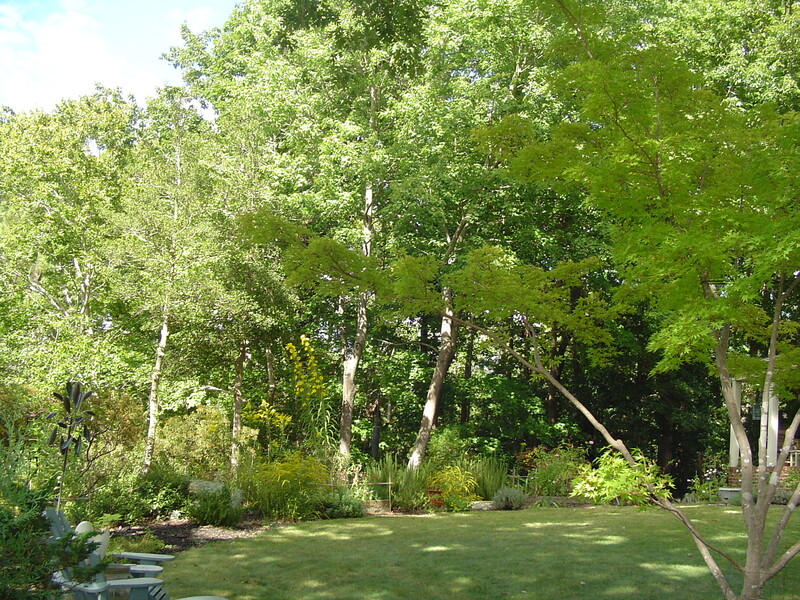 Some gardeners still shy away from them, believing that they aggravate fall allergies. This is now considered a myth. Ragweed, also blooming now, is the main culprit for most allergy sufferers. Goldenrod growing in the wild. 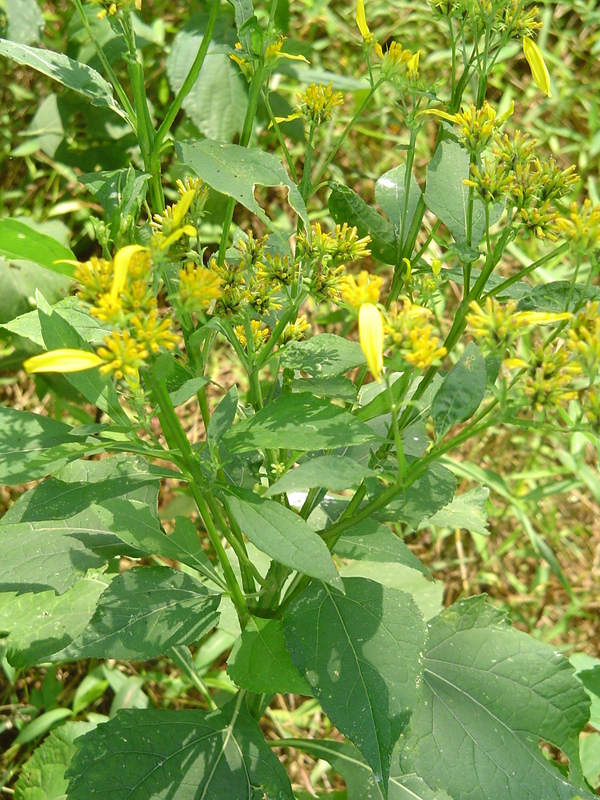 In addition to being a beautiful plant, tough and deer resistant, Goldenrod has been used medicinally for centuries. Native Americans chewed the root for toothache and chewed the leaves to treat sore throat. Europeans have made preparations to aid with kidney stones. The leaves, properly prepared, are anti-bacterial. The leaves and seeds are edible. Honey made principally from Goldenrod is especially prized. Goldenrod is considered a sign or good luck and good fortune. It is the state flower or wildflower in Nebraska, Kentucky, South Carolina, and is the state herb in Delaware. Goldenrod growing in a friend’s garden. Goldenrod grows best in full sun. It is tolerant of a variety of soils, but likes steady moisture. It is perennial and spreads by rhizomes as well as seeds. It is an important food source for many nectar loving insects, and is especially popular with migrating butterflies, and with bees who need a supply of nectar after most flowers have finished for the year. My friend grows several species of Goldenrod and sunflower in her garden on the banks of College Creek. Deer and squirrels are a constant presence, so the flowers and shrubs which succeed here must be tough. Goldenrod is an herbaceous perennial, and so dies back to the ground after heavy frost. It returns each summer, ready for its annual golden show throughout late summer and autumn. 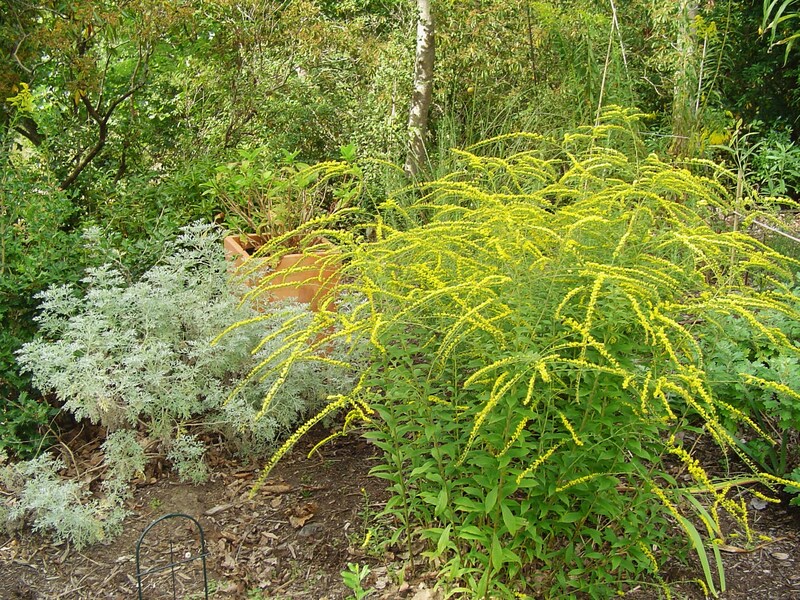 Goldenrod, “Fireworks” growing with Artemesia. Many species, and a few hybrids, are now available in the nursery trade. “Fireworks” is especially pretty. 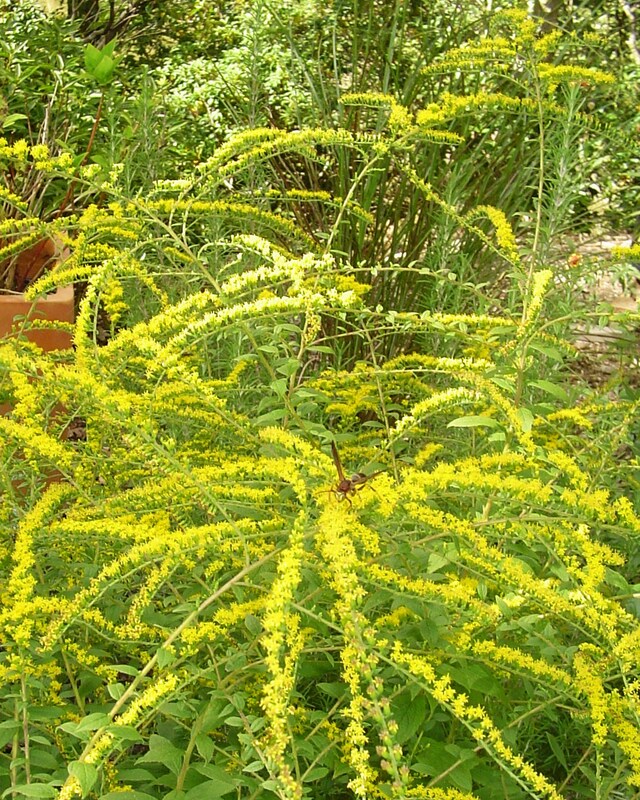 Like most perennials, Goldenrod can become invasive. 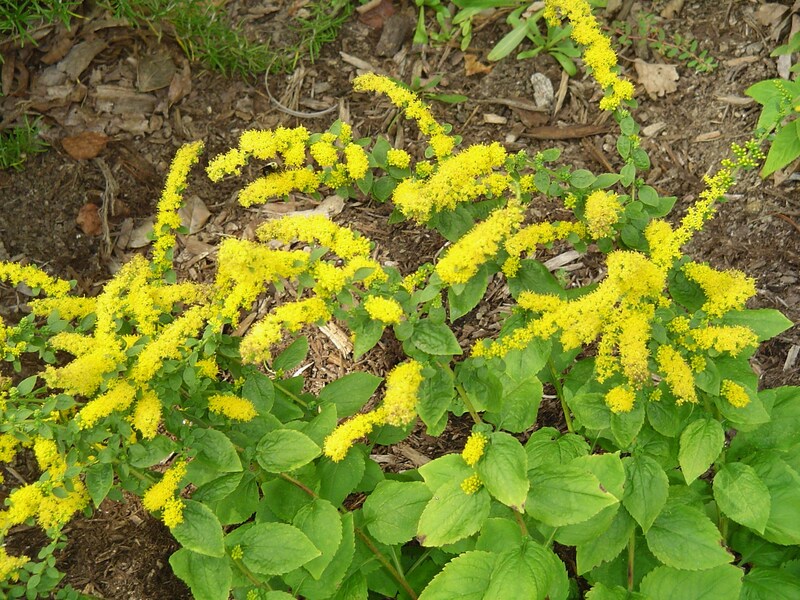 For those who have difficulty growing many flowering plants because of deer grazing and poor soil, Goldenrod is a tough, reliable choice which gives many weeks of beautiful flowers.